Former Ukrainian Prime Minister Yulia Tymoshenko has ended her 19-day hunger strike, says her German doctor, Lutz Harms. She was earlier moved from prison to hospital after her request for treatment by a foreign doctor was fulfilled. 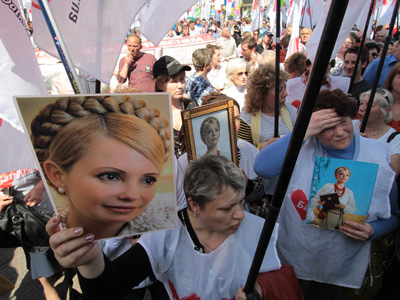 Tymoshenko’s refusal to eat was a protest against abuse and beatings she claims to have suffered at the hands of prison guards during a previous attempt to forcibly transport her to hospital in April to treat her back. While she insists her condition is serious, she said she did not trust Ukrainian doctors. After the incident, photos appeared where Tymoshenko showed the bruises allegedly left by prison guards during the ordeal. 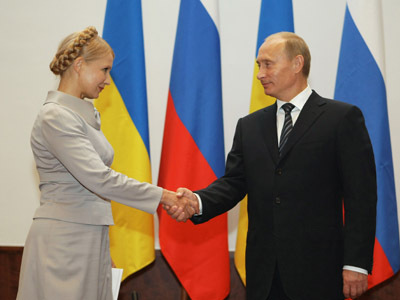 Tymoshenko served as Ukrainian Prime Minister from 2007 to 2010 and was the principal opponent in the 2010 presidential elections against current president Viktor Yanukovich. Last October she was sentenced to seven years in prison after being found guilty of abusing power by signing a 2009 gas treaty with Russia. A tax evasion case (among others) has also been launched against her. While in jail the former prime-minister was diagnosed with an intervertebral disc hernia. For months now, the “Gas Princess” has been suffering from severe back pain and, her lawyers say, cannot walk. Tymoshenko will now be treated in a hospital in the Ukrainian city of Kharkov by a doctor who has traveled from Germany. Lutz Harms, who is a neurologist at Berlin's Charite Clinic, says the course of treatment at the hospital will last at least a month. Tymoshenko is not currently allowed to eat solid foods. On Thursday, President Vladimir Putin said that Russia was ready to accept the woman for medical treatment “at any healthcare facility” if she thinks it possible and if Ukrainian authorities agree. But Ukraine’s Prosecutor General’s Office rejected the invitation, saying that the country’s law does not provide for convicts to receive medical treatment outside the country. The former PM denies all the accusations and says her imprisonment is politically motivated. Former Russian President Dmitry Medvedev, under whom the gas treaty was signed, also believes the case against Tymoshenko is politically biased. Concern over her treatment in the colony has generated considerable diplomatic tension within the EU. On Tuesday, Ukraine postponed a regional European summit in the city of Yalta, after Germany, Italy and 10 other EU states pulled-out in protest. 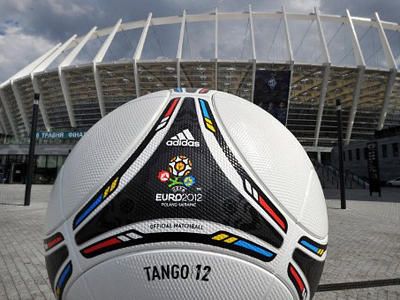 There were also threats from several European members to boycott next month’s EURO 2012 football championship in protest to her treatment.